United States, recycling is mandated, so most young children are familiar with the concept. Children have county- or state-designated recycling bins in their homes or garages. They may even help their parents rinse and sort the trash, perhaps even going with the parent to take the trash to the end of the driveway for collection. Recyclable activities for preschool children will further familiarize children with the recycling concept, and will allow them to realize objects can be reused when their original purpose is finished. These are also great ideas to use in conjunction with Earth Day activities. Children will use clean recycled objects for this recycle toss game. Collect, or ask parents for clean recyclables, such as milk jugs and cans with the edges filed to dull points. The objects will be thrown, so avoid using glass. Find a county issued recycle bin, either at the preschool center or from home. Clean out the recycle bin and sanitize with a bleach and water solution. Place the bin against a wall, and create a throw line. Students will stand at the throw line and try to get as many items into the bin as possible. This game can be played as a race against two teams or as a contest for individual students. Materials needed: milk jugs, pie tins, pine cones, peanut butter, bird seed, wire, tape, fabric (optional), glue (optional). 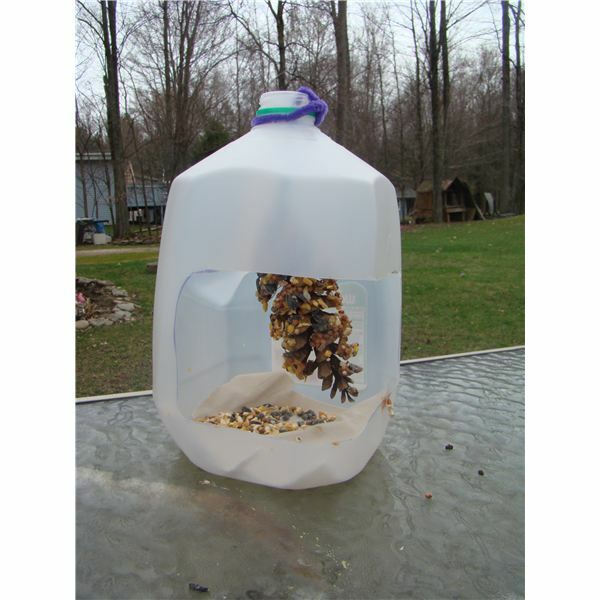 Create bird feeders from recycled gallon milk jugs. The teacher will cut a hole in the side of the milk jug opposite the handle, leaving the bottom of the jug intact, and tie wire lengths to the pine cones. Assist students with covering the pine cones in peanut butter with a spoon or plastic knife. Roll the pine cones in bird seed, using the pie tins to hold the seed. Help students attach the pine cones inside the milk jug, looping the wire over the top of the milk jug spout and taping the wire with strong tape. Optionally, students can add fabric cut to fit the bottom of the jug with craft glue. Planters can be created from many different types of objects. Gather bins, glass containers, half gallon paper milk jugs, and paper cups to use for planters. Allow children to fill the objects with soil bought at the hardware garden center. 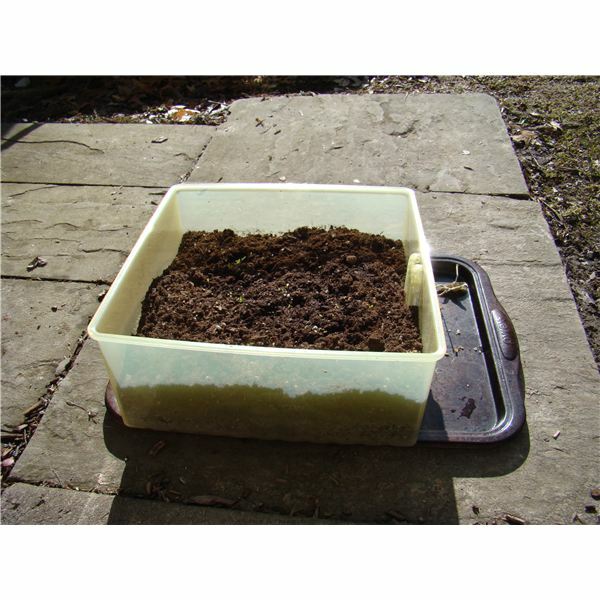 Soil best suited for the classroom is soil enhanced with plant food or a fast growing soil formula. Seeds which work well for classrooms are bean seeds or mixed flower varieties. Allow the class to use the recycled objects to plant the seeds in the soil, then allow the children to water the plants daily. Observe the watering process, and read the seed package for basic care. Try incorporating this activity into a Pre K Garden theme lesson plan. Giving preschoolers the opportunity to recycle, and demonstrating that recycled materials continue to be useful after their original contents are emptied, helps children learn to value existing materials, instead of buying new materials. Children are resourceful by nature, playing with boxes and using a loved toy until it falls apart. Teach children to continue their resourceful nature by performing recyclable activities for preschool children. Watch the children attempt to find new uses for old objects after these activities, and share in their pride when they successfully recycle an object which they would normally throw in the trash can.